2 So, how does one optimize their GMB listing? 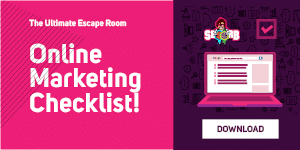 For an escape room business, a well-optimized Google My Business (GMB) account is a prized asset that can significantly help SEO efforts and push the bottom line up. A GMB listing increases your visibility in Google search results and on Google Maps. In fact, the first step towards getting onto the ‘Local 3-Pack’ results (the ones that occur right below the paid ad results when you make a Google search) is getting a GMB account. A GMB listing ensures consistency of your information across Google Search, Google Maps and Google+. You get an opportunity to interact with players and ask for reviews and ratings. 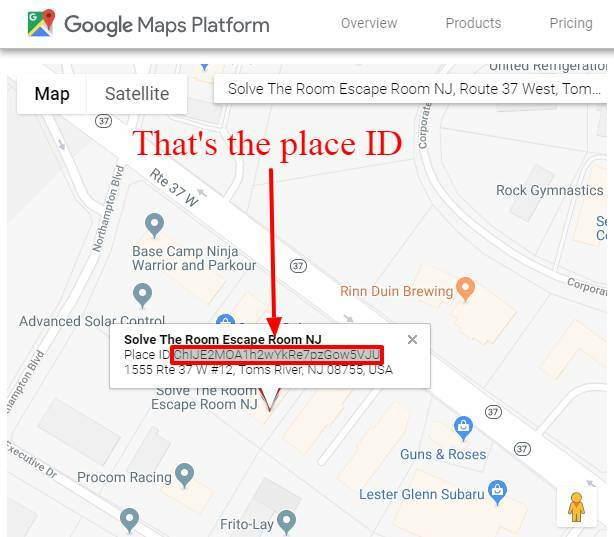 You get some analytic information, for example, Google can tell you the location(s) from where people are searching for directions to your escape rooms. This will come in very useful if you plan to expand or organize any event. It’s completely free. 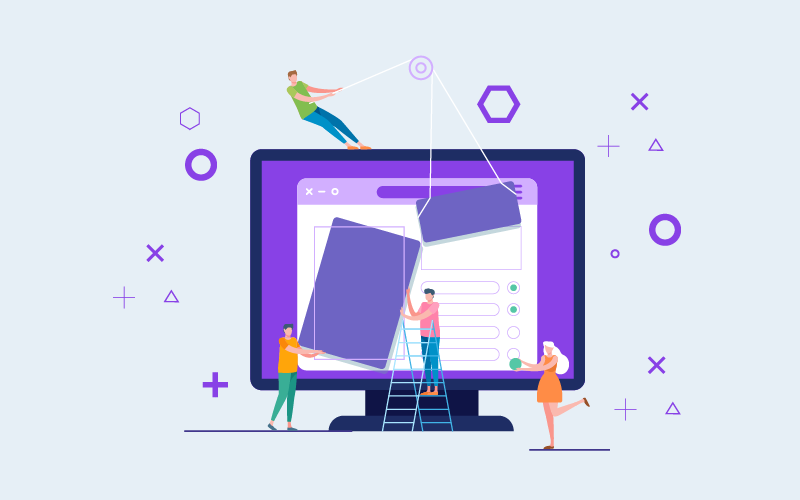 In fact, according to many studies, a GMB listing is the most popular among free listings a small business can claim – whether among online alternatives like Yahoo and Bing or other ones like the Better Business Bureau. Let’s kick off by asking the question – Do you have a Google My Business account at all? The reason I ask is that a study by Brandmuscle found that only 44% of local retailers claim their GMB listing. As a matter of fact, in our study of the Escape Room Landscape in US 2018, we noticed that a 1400 out of 2400 Escape Room Facilities had not claimed their listing. If you’re among the 56% who don’t, you should go to https://www.google.com/business and start right away! In order to claim your listing, you need to enter relevant business information like your name, address, contact details and so on. Next you’ll be asked to verify your business. Verification authenticates your identity as the true business owner (well, duh!) and gives your website credibility. If you’re lucky, your business may qualify for email, phone or text verification and you’ll see such an option when you click ‘Verify Now’. Otherwise you’ll need to settle for a good old postal verification. 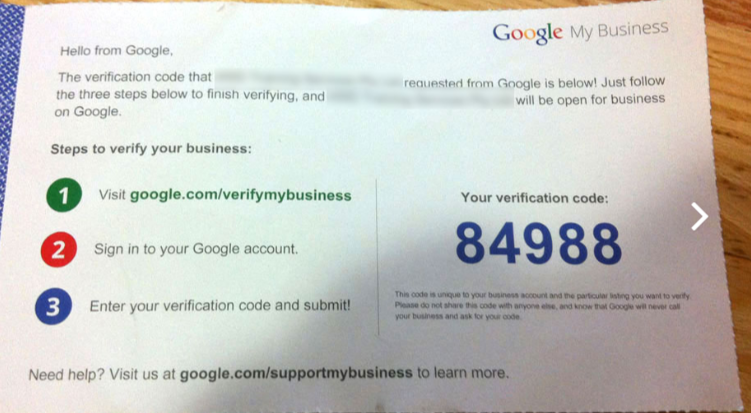 Google mails a postcard with a verification code to the address you entered as your business address and you need to enter that code in the field marked ‘Code’ under the tab ‘Verify Now’. With that done, you can access your business dashboard and start personalizing your listing. Here’s the kicker. Many business owners leave their GMB listing at this. Whatever we’ve discussed till now was only the basic listing process. The GMB account has only been created; it is not optimized. In fact there is no one point in time when a GMB account is completely optimized. Optimization is an ongoing process that you have to continue for as long as you run your business. If you don’t keep your GMB account well-optimized you are ceding SEO space to your competitors. You are just leaving money on the table as sure as the sun is in the sky. So, how does one optimize their GMB listing? Keep your business information accurate and up-to-date. Interact with current and potential players. The three basic details – name, address and phone number (NAP) – of your business form the base of all SEO efforts since they’ll appear across Google Search, Google Maps and Google+. And I don’t think I need to tell you what will happen if people call an incorrect number and thus fail to contact you from your Google listing. However by ‘accurate’ I don’t just mean ‘correct’. By ‘accurate’ I mean consistent with whatever you’ve provided on your website. It should be same as the information provided in your Social Media Accounts as well as other places like directories, and listings. Even if your website lists your address as ‘East 62nd Street’ while your GMB lists your address as ‘E 62nd Street’ it hampers your SEO. Google asks you to write a short description of your business. A common temptation here is to stuff the description with keywords. Don’t do it. Just write about your escape room business in a short but friendly line or two. Includes keywords ‘breaking out’ (establishing the basic activity of an escape room); ‘murder’, ‘pharaoh’ and ‘zombie’ indicating the kind of content you’re offering; and finally ‘personal and office events’ which puts you on the event planning map. But the content flows naturally and doesn’t feel artificially stuffed. Next we come to ‘business category’. Google took its time in adding our industry – escape rooms – to its list of business categories. This is due to the fact that Escape Rooms have started to gain their own recognition over the past few years. Earlier, suitable choices for an escape room would have been ‘Amusement center’, ‘tourist attraction’, ‘event venue’ and the like. However as of August 2018 ‘Escape Room Center’ seems to have been added to Google’s list of business categories. These are descriptors used by Google to provide some specific information about your business like whether your escape room has car parking facilities, whether it is child-friendly and so on. Some attributes can be added/edited by the business owner. Others depend on the experience of players. To edit attributes, click on ‘Info’ in your GMB dashboard and navigate to ‘Add Attributes’. There are three kinds of attributes you should be particularly aware of. One is the ‘accessibility attribute’ which says whether your facilities are wheelchair-friendly. There are a number of choices – elevator, entrance, parking lot and restroom – that may be marked ‘wheelchair accessible’; make sure you select every one that applies to your escape room. The second kind relates to military service. One is ‘active military discounts’ and the other is ‘Veteran-led’. Third is the ‘women-led business’ attribute rolled out this year (2018). 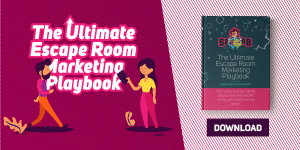 All of these can go a long way in attracting more business for your escape room. Description, category and attributes are the building blocks of your GMB profile. Pro tip: Changes to your profile can be made by anyone, but it must be approved by you before it goes live. So you should check your GMB listing as often as possible for any updates that may have been suggested/made and edit if necessary. We will revisit this issue when we talk about interacting with players. Businesses that include photos in their listings report 42% more searches for driving directions via Google Maps and 35% more clicks through to their websites. Those figures are probably much higher in the escape room industry where a lot depends on visuals. People play for the thrill. Unless they feel they can get the kicks in your rooms, they won’t make a reservation. That’s why it’s critical you include all three – cover photo, profile photo and a video. The cover photo is what appears on Google Search and Google Maps. The profile photo is what appears when you answer questions or upload posts. Also note, this by itself gives you a chance to interact with players since you can ask players for permission to upload any pictures or videos they may have taken. The option for adding photos and videos is available in the ‘Photos’ option in the main menu of your dashboard. Google has placed some conditions on what kind of photos and videos can be uploaded which you should check out. These are short posts that appear in the knowledge panel. I should clarify that I’m not associated with the escape room in any way. I’m simply showing how they use their posts as an effective marketing tool. The one I’ve shown is an open advertisement but you can write posts merely to spread goodwill like one wishing people a merry Christmas. Or you could write about some new facility or room you’re thinking of introducing…or merely about an escape room theme that’s enjoying a surge in popularity. As you can see, the posts are placed just below your contact details, which makes them very noticeable. Please keep in mind posts remain live for 7 days only after which they don’t appear on the panel any more. So you should keep uploading posts every week or every fortnight. Google also sends you reminders when your posts ‘go dark’. Pro tip: This is not only about posts but about any text you upload to be part of the knowledge panel. You can add up to 750 characters in any text but the knowledge panel will cut your post off at 250. The subsequent characters can be seen by clicking on the ‘MORE’ option. So, try to deliver your key punch within the first 250 characters. Pro tip: Emoji-based SEO could emerge as the next big thing in SEO. I’d advise you to make an early start by adding an emoji to some of your GMB posts. Don’t add more than one per post. Remember, you’re not trying to be cute; you’re trying to be smart and get ranked in ‘Emoji + Text’ type searches. If you’re unsure how to add an emoji from your laptop, Huff Post can guide you through the process. Pro tip: If your post is of the advertisement type (announcing a discount or a new room etc) make sure to add a call to action like ‘Book Now!’. Google itself makes this suggestion. Research suggests most leads don’t want to communicate with businesses via voice calls; they prefer text messages. And Google, ever mindful of consumer trends, has a messaging feature that lets you interact with players via text messages. This feature is available via the ‘Messaging’ option on the Google My Business dashboard. It allows you to verify the phone number you want to use for text messaging and set a template which will be the first message people receive when they opt to communicate via text. Do I need a separate number/device to handle these messages to keep them separate from other messages? Google has an app called ‘Allo’ which will receive GMB messages and not allow them to clutter your SMS inbox. If you look at the knowledge panel carefully, you’ll notice an option ‘ask a question’. These are meant for business queries; nevertheless they are one way of reaching out to and interacting with your players. If you use the GMB app, please note that it does not show questions and answers. Either you need to remain logged in via Google Maps to see new questions or you can just Google your business and see whether there are any unanswered questions. Pro tip: Just like editing the GMB account, anyone can answer any question on your account. To ward off nefarious activity, keep track of your listing and answer questions as promptly as possible. If you do face malicious activity, consider reporting it to GMB’s support forum. Reviews can help push up your sales considerably. One survey suggests that 85% of consumers trust an online review as much as they trust a personal recommendation. In fact, reviews as a source of credibility are taken so seriously that Congress unanimously passed the Consumer Review Fairness Act in 2016, which safeguards the consumer’s right to post honest reviews. And while you obviously can’t wear negative reviews like a badge of honour, there is research suggesting that negative reviews do add to your credibility. Many consumers don’t trust firms that have no negative reviews while 82% specifically look for negative reviews. The good news is, unlike Yelp, not only does Google explicitly ask you to request players for reviews; it’s even designed a simple process to generate a review-prompting link that you can share with players. Search for your business on Google. Click ‘Write a review’. A new page should open prompting you to write a review. Copy the URL of the new web page. Use a URL Shortener to create a short version of your link. It’s not enough to just ask for reviews. The interaction with your players remains incomplete if you don’t respond to their reviews. If it’s a positive review, you can ask them to share their experience on social media, to sign up for your newsletter; you can also seek permission to use their photos on your own GMB posts. If it’s a negative review you can express your regret that your escape rooms fell short of their expectation; and ask them what you can do to improve. 78% of consumers report that getting a reply to their reviews makes them feel the firm cares about them. That’s not all. 44.6% of consumers say that they’re more likely to visit a business that responds to negative reviews. If you maintain your cool and respond professionally but in a friendly tone, who knows, you may convert someone who left a negative review into a regular player. To get an idea of how to deal with negative reviews, check out these 8 actual replies given by well-known businesses, collected by Reviewtracker. You’ve been uploading posts and interacting with current and prospective players. No doubt this engenders goodwill…but can you gain any more advantage from it? Google offers you insight into your posts, which is basically the statistics on views and clicks on your posts, over a rolling time period. 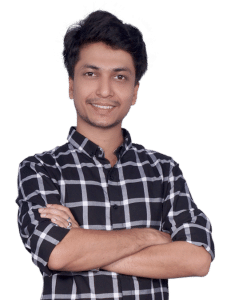 How people are gaining access to your website – are they specifically searching for you or are they discovering your site from generic searches? How are they interacting with you? Analytics can reveal how many are calling you, how many are browsing through photos and videos, how many are requesting directions..and so on. Speaking of searching for directions, you can see from which locations people are making search requests for your escape rooms. If one area lights up particularly brightly, you can consider hosting an event there, for example. Provided there are enough escape rooms in your region, Google will provide you an analysis of your photo views vs. those of your competitors’. This post is huge, no doubt. It may seem difficult to keep track. You may even find your enthusiasm for getting a Google My Business listing waning just from having to read this post. But if you think about it, the ways a well-optimized GMB listing can help you are extremely intuitive. Finally, Google’s algorithms and standards are constantly evolving. It may be tough for an escape room owner like yourself to keep up. You may consider hiring the services of a professional SEO consultant to ensure maximum return on your SEO efforts. I wish you all the best in your escape room business.